When not making mead, Ann-Marie manages Abbey Bar and operates a non profit creating positive change in our communities. Ann-Marie is a Certified Cicerone® as well as a Certified BJCP™ Beer and Mead Judge with experience judging several competitions throughout Florida. 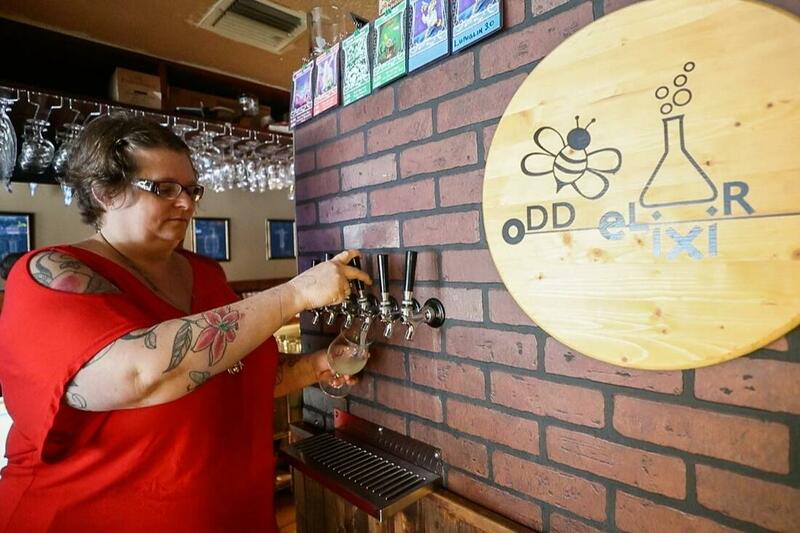 She is one of the organizers of Volusia Beer Week and its premier events, Brews & Bowties and DeLand Craft Beer Festival. Ann-Marie began making mead in 2008 during a time when commercial meads were very hard to come by in Florida. That is when she decided to try making her own mead at home. As a long time home wine maker she researched what went into making meads and made her first batch of mead in November of 2008 and has been experimenting with mead ever since. Ann-Marie takes a lot of inspiration from the craft beer industry and craft beer styles. By challenging what people expect mead to be and embracing creativity, she is creating meads that are approachable, fun and innovative.